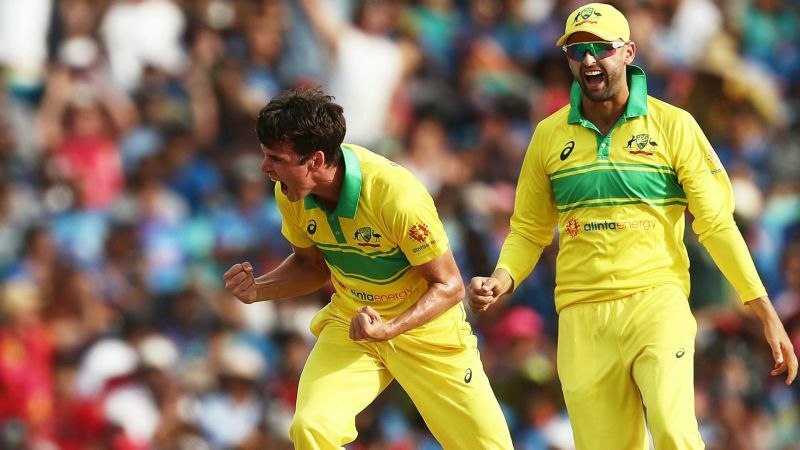 Australia successfully defended their total of 288-5, winning the first match of three in the one-day international series by 34 runs to become the first team in international cricket to taste victory in 1,000 matches across all formats. “Justin has said it is a great opportunity to be able to push your selection [case] for the World Cup,” he said. “But we’ve still got a lot of white-ball cricket between now and then. So I think it’ll be for me to concentrate on these two games coming up then if I’m lucky enough to get picked for the next tour, it’ll be concentrating on those games. Peter Handscomb (73) Usman Khawaja (59) and Shaun Marsh (54) all registered half-centuries at the SCG, while Marcus Stoinis (47 not out) helped Australia set a competitive total on a slow pitch. “Getting [Kohli] is one that I’m going to treasure for a long time,” he said. “I was actually disappointed when the ball came out. I probably bowled a bit too straight. I had a fielder there who hung on to it, so it is a wicket I will remember for a very long time. “But [I am] more happy to get the win. There was a period there when they had a partnership through the middle and it almost could have taken the game away from us. But we were lucky to get Dhoni out lbw and we kept getting wickets from there on. When you get teams three down [early], that’s what you aim for.